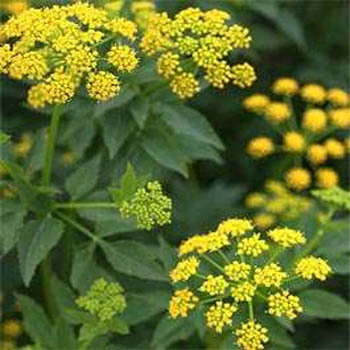 Easy to grow perennial that flowers in early summer with yellow flowers. Easy to grow perennial that flowers in early summer with yellow flowers. It can tolerate a lot of shade but prefers full sun or partial shade. Self-seeds readily. Great for small-tongued insects, such as the Black Swallowtail caterpillar and Swallowtail Butterfly.